Manatees Escape The Endangered List — But Maybe Too Soon : The Two-Way It seems like quite a win for the marine mammal, which was nearly extinct just a few decades ago. But conservationists say the move could lead to repeal of protections the manatee needs to survive. A young manatee swims at a zoo in France in 2017. Sure, the news from the U.S. Fish and Wildlife Service arrived just a little late for Manatee Appreciation Day — but it's unlikely the gentle finned blimp will be too upset about the belated gift: The announcement that the agency is removing the West Indian manatee from the list of endangered species is welcome, no matter when it arrives. In some ways, this moment marks nothing less than a "success story" for the giant marine mammal, which roams from the Southeastern U.S. into the Caribbean. That's what Phil Kloer, spokesman for the agency, tells Reuters. "It has been doing very well," Kloer says. "It has been coming back." "While there is still more work to be done to fully recover manatee populations, particularly in the Caribbean, manatee numbers are increasing and we are actively working with partners to address threats," the agency's acting director, Jim Kurth, said in a statement. The FWS says there are about 6,620 manatees in Florida waters now, the third straight year the agency has recorded numbers above 6,000. The agency attributes the comeback partly to the establishment of sanctuaries, the retrofitting of locks and levees, and regulations to reduce boater collisions. So, great news ... right? 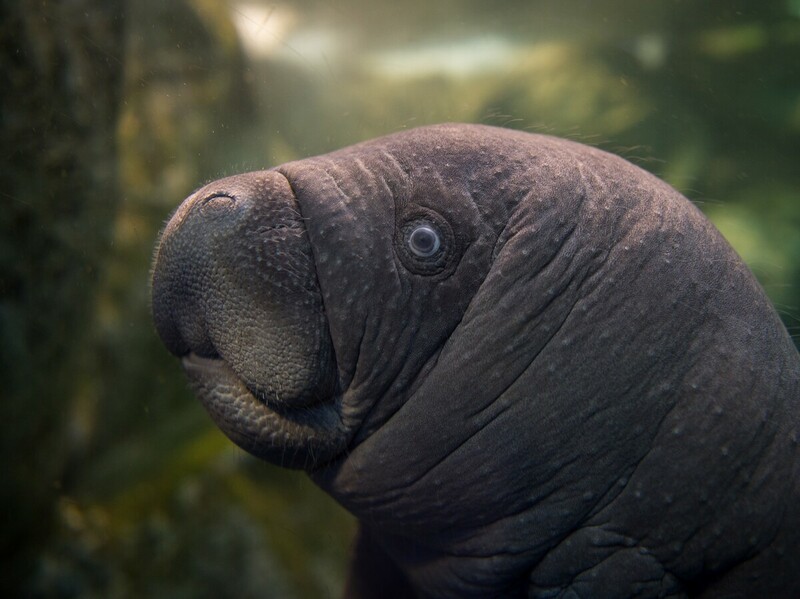 Many conservationists argue the manatee's reclassification from "endangered" to "threatened" under the Endangered Species Act is far from the unalloyed victory it may appear to be. "A federal reclassification at this time will seriously undermine the chances of securing the manatee's long-term survival. With the new federal administration threatening to cut 75% of regulations, including those that protect our wildlife and air and water quality, the move to downlist manatees can only be seen as a political one." The organization argues that the FWS "failed to adequately consider data from 2010 to 2016, during which time manatees suffered from unprecedented mortality events linked to habitat pollution, dependence on artificial warm water sources, and record deaths from watercraft strikes." And GOP Rep. Vern Buchanan of Florida tweeted that the "decision to weaken manatee protections" was "HUGELY disappointing." As The Washington Post points out, "the Center for Biological Diversity also opposed the federal reclassification, calling 2016 'the deadliest year to date' for the animals." Still, the FWS emphasized that the downlisting will not have an appreciable effect on existing federal protections and that the manatee will "continue to be protected under the Marine Mammal Protection Act."